Hand Precision Machining is committed to producing precise, high quality parts through both traditional and cutting-edge machining techniques. Our shop focuses on creating cost-effective parts, completing jobs on schedule, reducing risk to our employees, and maintaining a strong work ethic. We value our loyal customers and are dedicated to consistently providing quality work, assisting in troubleshooting part design and use, and seeing your projects achieve success. Robert Hand took over this New Mexico machine shop business in 1989 while working for his previous employer. After building up the business, he became incorporated in 1993 and the business has flourished. The shop began with just a couple of machines, and now we operate 19 CNC machines, Wire EDM, CO2 and fiber laser engravers, welding and sheet metal fabrication equipment. From individual local customers to national laboratories, universities and private sector corporations, our customers are our number one priority. We serve Los Alamos, Santa Fe, Albuquerque and even nationwide. HPM strives to partner with you to make your projects a success. 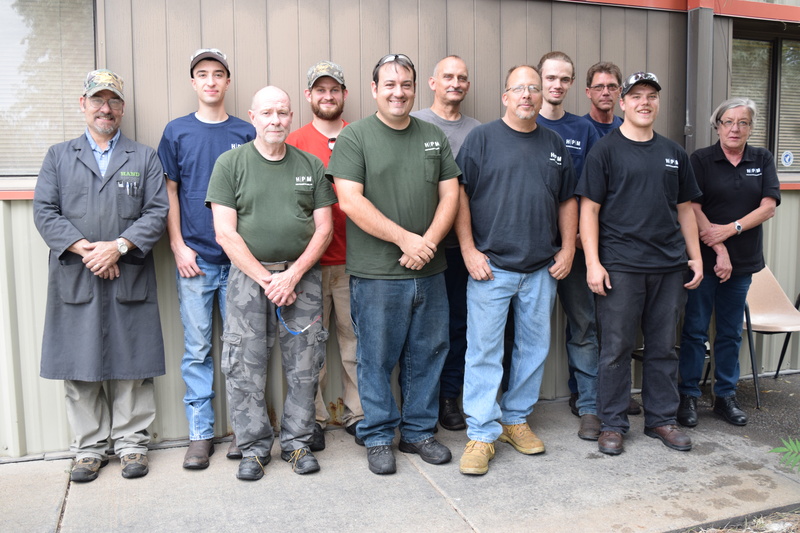 Our team of highly trained machinists have more than 75 years of combined experience.